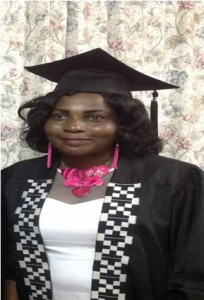 Mrs Suzie Debrah Qualifies as a social worker at Teesside University in 1994 in UK. Thereafter worked in the children and families team as the only black social worker in the Teesside area. The role was mainly working with needy families to improve their quality of life. Part of the role was also protecting children from abuse. In 2001 she moved into the newly created Multi Agency Domestic Violence Team. The team worked alongside the police, health, education, women’s aid and NSPCC (National Service for the Prevention of Cruelty to Children). The role involved working with families experiencing violence to bring about changes in the relationships. She trained as a counselor in Solution Focused and Response Based Therapy. With this qualification her focus shifted to offering therapeutic sessions for women and running groups to empower women. In 2010 she graduated from Keele University with a Masters Degree in Ethics of Social Welfare. The Versatile Phebemary Makafui Adodo-Samani wears many hats by the Grace of God. A Pastor by calling, she is currently the resident Pastor of THE MEGA CHURCH, EBENEZER DOWN where she has been pastoring for the past 12years. An Ace Fashion Designer, She studied HND Fashion Design and Modelling at the Accra Technical University. 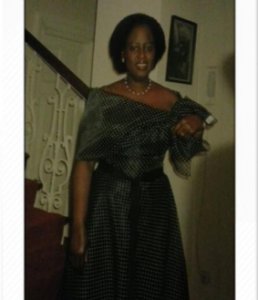 A Sociologist and a Human Resource Person; she had her first and second degrees at the University of Ghana, Legon. For her first degree, she studied Sociology and Management- Human resource option. For the second, she studied Sociology- Deviance and Sociology of Industry. Also, she has a certificate in Investigative and Forensic Psychology from the University of Professional Studies, Accra and currently a PhD candidate with the Institute of Gender Studies, University of South Africa. Her passion first and foremost is to win souls for Christ. Her heart bleeds at child sexual abuse and Gender-based violence.